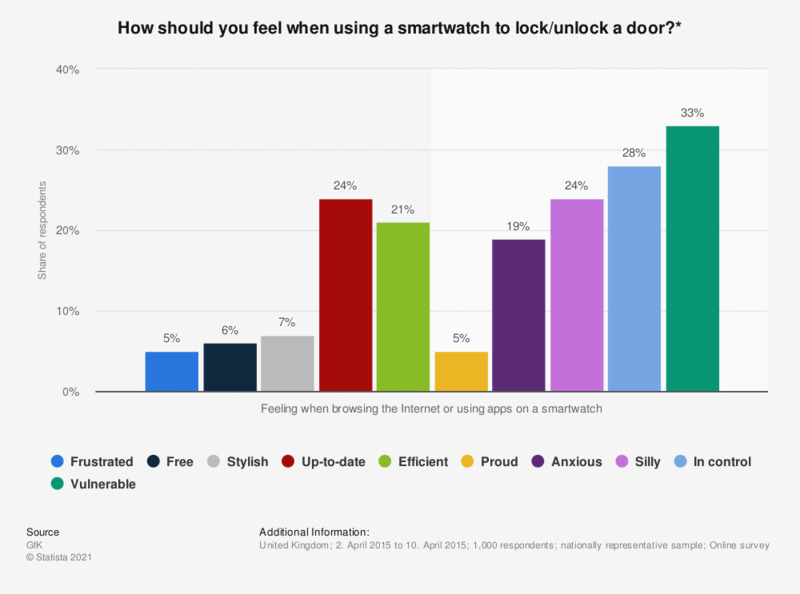 This statistic shows peoples' expected feelings when using a smartwatch to lock/unlock doors in the United Kingdom (UK) in April 2015. In April 2015, 33 percent of respondents stated that they should feel vulnerable when using a smartwatch to lock/unlock a door. Has using the internet on mobile devices changed the way you use the internet on stationary devices?